Indeed co, sarl was established in 1995, and among its many fields of interest are academic orientation and higher education guidance. Where meetings, seminars, and group discussions are held with high school students, parents, and advisors to help university education seekers choose the best and most appropriate major/career. It is noted that Indeed co sarl is a free, unbiased, unprejudiced educational consultant company, with a team of specialized academic and educational counselors, therapists, and analysts, in addition to professional academic researchers and marketers teamed up with the well-being of our children’s future at heart. As graduation day draws closer, more and more questions run through our minds. What university to join? What to major in? Should we choose future financial stability over personal interest? So many what’s, where’s and why’s, yet very few answers especially the honest, convincing ones. Globe Today Education website will shed a neutral light on many such questions, to give YOU, high school students a clear perspective of what is ahead and to help you make the right choices. 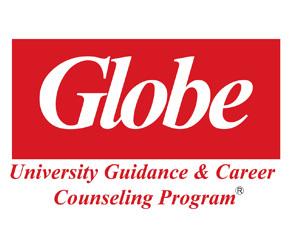 Globe Today Education website will not campaign for a specific institute nor will it promote a major and demote another, the impartial and unprejudiced opinions with in the pages of our magazine have only the students’ interest at heart; and thus, it might very well, be considered a student’s as well as parents’ handbook of higher education and career orientation. The different faculties and majors. What sets one university above another? Is the most expensive university always the best university? The university Credit System. What is it? What to expect. Technical Diploma Holders, what higher institute to join. All that and more will be impartially discussed in depth and neutrally evaluated in details.